The Visitor interface displays detailed information about the 1,000 most recent visits to your website. This information is important as it helps you learn about your visitors and audience, and monitor frequent visitors so you can adjust your website content to fit their needs. You can also use the information to locate and fix errors on your website, such as missing pages or broken links. 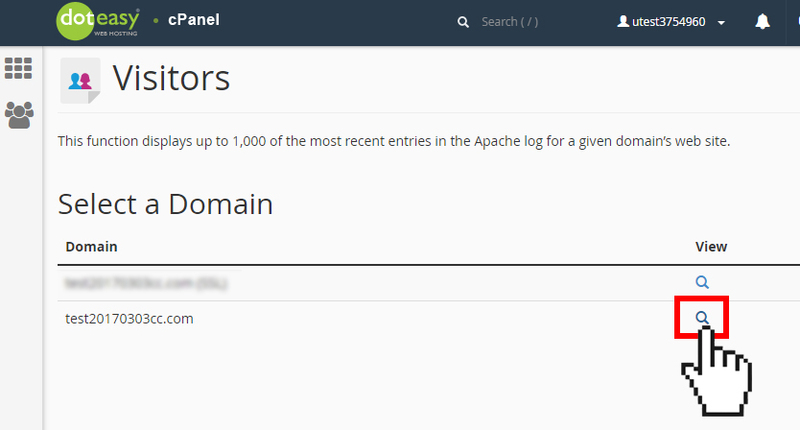 Click on Visitors under Metrics in cPanel. 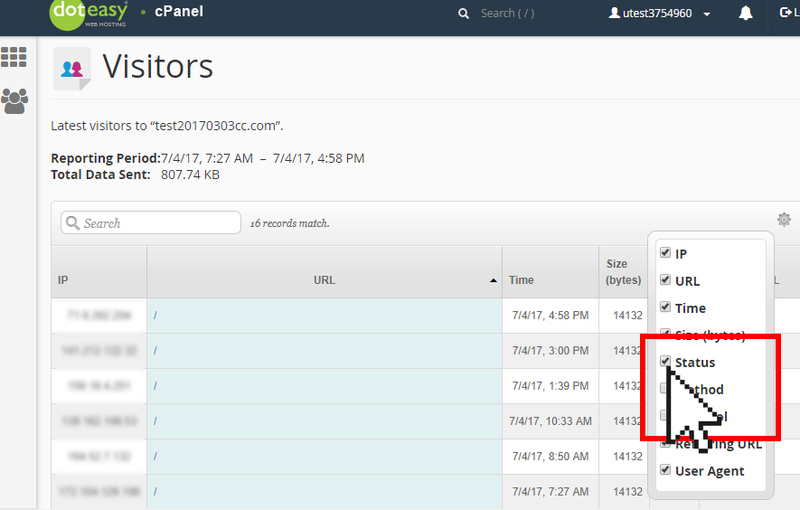 Click on the icon next to the domain name you want to view Visitors metrics. This will open the Visitors log interface. Click on the icon to select additional data to display. Select the additional data you want to display by clicking on the checkbox next to the option(s). For example, a 403 error means Forbidden, which means the visitor did not have the necessary permissions to access a resource, such as a specific page. For example, a 503 error means Server Unavailable, which means the server was unavailable, either overloaded or down for maintenance.